Being a personal finance blogger in Silicon Valley is a little bit of a unique experience. For one, the average home in my city goes for over a million dollars. That’s one of the major downsides, but today I wanted to write about one of the upsides. There are a lot of start-up companies technology here… and a lot of them are creating really interesting personal finance tools. I have the good fortune of meeting with some of these companies face-to-face and learning about their products. Many of them you’ll never read about here because I don’t find them all that innovative. However, today I’d like to introduce you to one that I think is: Credit Sesame. A couple of days ago I got to speak with their VP of marketing about Credit Sesame. She gave me a tour of what it is and how it works. I’m going to share that vision through my (at times) skeptical glasses. 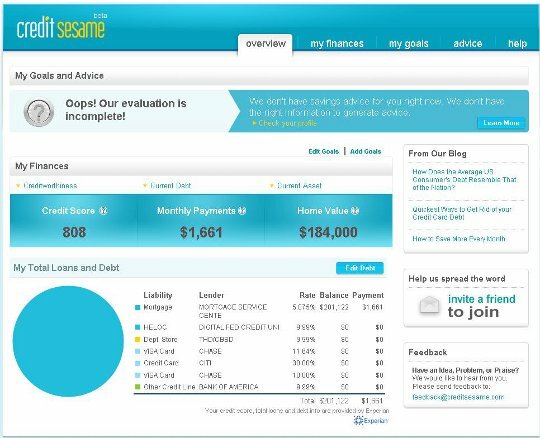 What is Credit Sesame and How Does it Work? 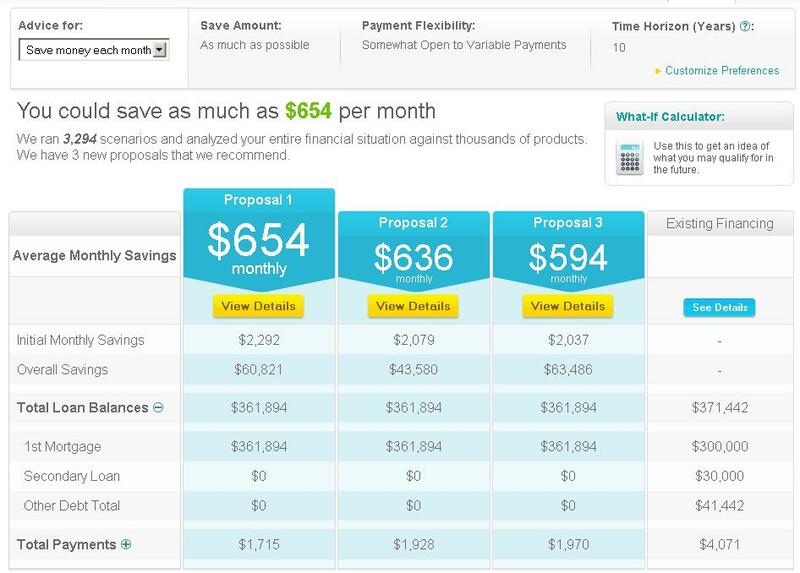 You can test how changes in your financial situation may affect the proposals. 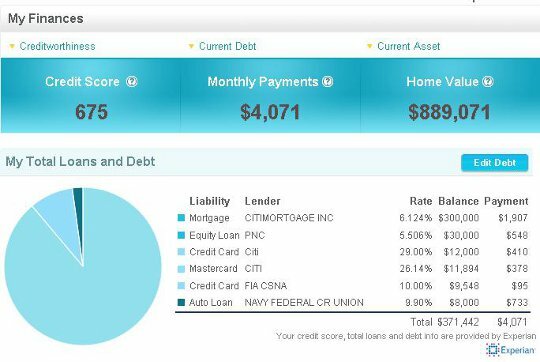 This gives the user insight to how important a credit score can really be. My favorite feature of Credit Sesame is actually a bit of a side effect of how it works. Users get a free credit score from Experian – one of the three major credit report bureaus. It’s not a FICO credit score that most banks use, but it is a good guide, especially for the price of free. Over time, I expect Credit Sesame to expand on this feature. On Wednesday, Credit Sesame announced that it had formed a partnership with Lending Club. It makes a lot of sense for both Credit Sesame and Lending Club. Lending Club will get a source of new loans brought to their doorstep. 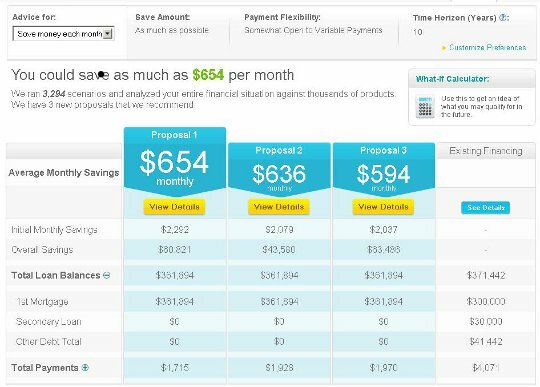 Credit Sesame will be able to present its users with an attractive option to save money. If you are a regular reader, you’ll know I’ve been a supporter of Lending Club before. Rob Garcia, Lending Club’s Senior Director of Product Strategy, reminds me they are not dead as I once proclaimed… in fact they are thriving, having issued over $207 million in personal loans. Prior to this partnership, Credit Sesame was mostly focused on helping people via debt consolidation loans that were primarily available to home owners. However, with this in place, those with simple credit card debt can reap rewards through Lending Club. As with any online financial tool, there is a security concern. The Internet does get hacked and information is occasionally stolen. One could make an argument that a start-up is more likely to get hacked since it is typically busy focusing on adding features and creating value for its users. That said, when a service provides great value, it can be hard to ignore. Mint, a start-up just a couple of years ago, had so many users that Intuit bought them for nearly $200 million. It simply provided a great service and value to people. I believe Credit Sesame is the same way. I would note that Credit Sesame does all the right things from what I could tell (like use SSL for when you are logged in – just as your online bank would). I also noticed a manual mode when signing up. You can enter in your data without providing your social security number. Frankly, I’m much too Lazy to deal with entering all those numbers time and again. As I said at the beginning of the article, I like the service. It’s still in beta so it still has some quirks. However, its been a long time since I’ve seen a service so new have so much potential. I think there’s a good chance that you or someone you know could save the money using Credit Sesame. Why not email some friends and spread the word? I agree with you! As a personal finance writter with little debt except mortgage debt, this tool probably wouldn’t be of much use to me, but it is very interesting! I’ll be sure to keep it in mind!